As Dave Burkhart – Anchor’s Design and Graphics Production Manager and Brewery Historian – wrote in his recent post about the story of Anchor IPA, “Without that story, the recipe would be just a recipe and the label just a label.” Video has been an important part of telling the stories behind each of our beers, but the video for Anchor IPA was a bit different. 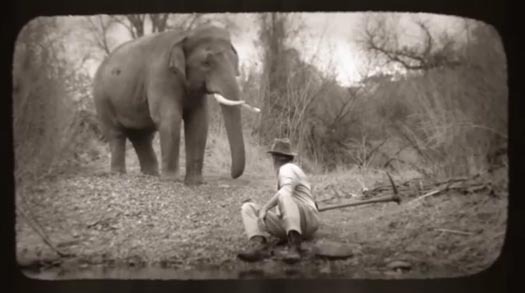 In addition to beautiful videography of the beer and brewery from our partners at Redtail Media, and tasting notes from our brewers and team members, this video included a live elephant. “An elephant,” you ask? Yes, an actual live elephant. And as you might imagine, producing the video presented its own unique challenges, so we thought it might be fun to give you a look behind the scenes at the making of the Anchor IPA video. Members of the brewing and marketing teams at Anchor then meet with our video production parters from Redtail Media for an initial brainstorming and planning session. Dave Burkhart shares his research with the group, often briging photos, books, vintage products, and other memorabilia along for historical reference, and the vision of the story begins to take shape. India Pale Ale has its own unique history, and as we discovered during our research, its connection to San Francisco dates back to the mid-1800s, when the California Gold Rush lured thousands west with the promise of adventure and fortune. 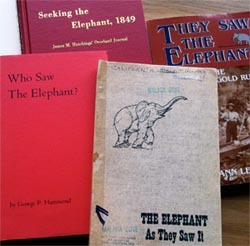 At the time, to “see the elephant” became a nineteenth-century metaphor for the fortune seekers who packed up their lives and headed west. 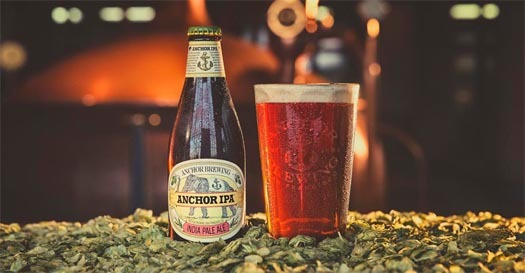 With the knowledge that Gold Rush miners enjoyed imported IPAs, connecting the visual story of Anchor IPA to the era – and to the elephant, a well-known symbol of India – seemed natural. To give the video a look and feel from that period in history, we needed our own Gold Rush miner, and Ollie, a brewer here at Anchor, re-created the forty-niner role he first played in our video for Anchor Steam Beer . “Ollie is a great guy and he had participated as a forty-niner in the original Anchor Steam Beer video, so we decided to reprise the roll,” said Chris Burke of Redtail Media. Only this time, instead of meeting up with other miners, the script called for a forty-niner meet up with an elephant. 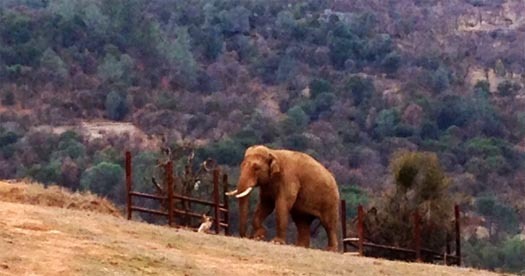 Elephants have plenty of room to roam at the PAWS Sanctuary. Photo courtesy of PAWS. 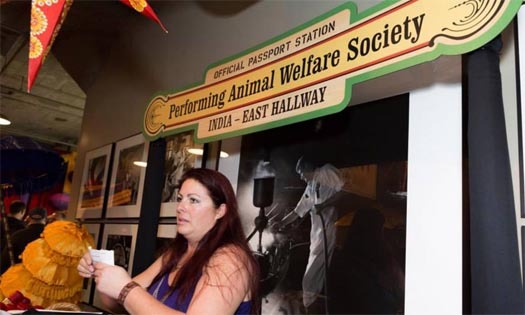 “We had some very positive phone meetings with PAWS, and in exchange for allowing us to capture video footage of their elephants at the sanctuary, we said we’d be happy to help them share their message and get the word out about the important work they’re doing,” said Cruz. 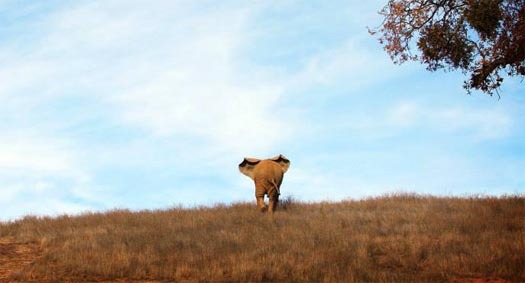 A video shoot was scheduled at the PAWS sanctuary northeast of San Francisco. Although getting the right shots certainly wasn’t easy, the setting worked well and the team was pleased to be working with animals in a free-range environment. 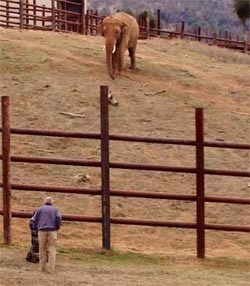 “Seeing the elephant” at the PAWS sanctuary during the Anchor IPA video shoot. We were pleased to have PAWS at the Anchor brewery in February for our Anchor IPA launch event to share their message with attendees who were on hand for the celebration. We would like to extend a special thank you to PAWS for access to these amazing animals, and for everything they do to protect their health and welfare. Are you ready to “see the elephant?” Check out the finished video below, and when you have a chance, enjoy an Anchor IPA!